I love the industrial look of this one, and at such a good price! I hope the mail slot is not at the top though because I predict soggy mail knowing my forgetfulness. 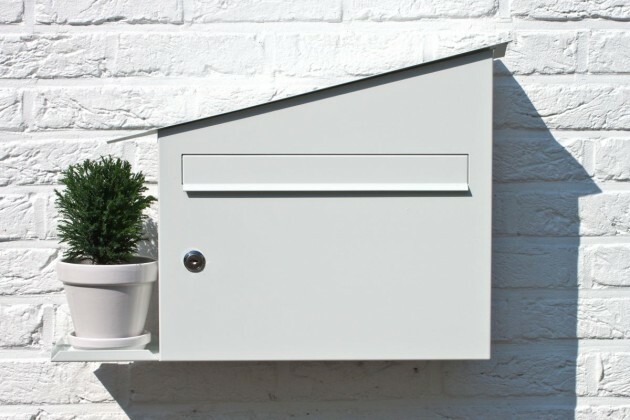 I would have to say this is my dream mailbox, it has a quirky charm to it. Of course, a way more affordable option, to design one myself! It's a bit pricey, but at 7 years old - and surviving 7 Saskatchewan winters at that - it still looks as good as new and we get complements on it all the time!!! i love the contemporist one myself. just a little bit quirky, without being silly. love it.